My system freezes completely at random, frequent intervals. I started to have the same problem in Ubuntu 14.04 but after recent upgrade to 16.04 there is no improvement, in fact it seems worse. When it happens, it's impossible to do anything. I've tried everything in this thread: What to do when Ubuntu freezes but nothing works, I have to hard reset. I have read all the system logs and journalctl but there is never any information that could help diagnose the problem. This is a dual-boot system with Windows 10 and there's no problem there, so it's not defective hardware. This causes total freezes when the CPU tries to enter an unsupported sleep state. It's a problem for many Bay Trail devices especially with newer (4. *) kernels. There is a simple workaround for this until it gets properly fixed upstream. You just need to pass a kernel boot parameter and the random freezing stops completely. The parameter may increase battery consumption slightly, but it will give you a usable system. No problem. 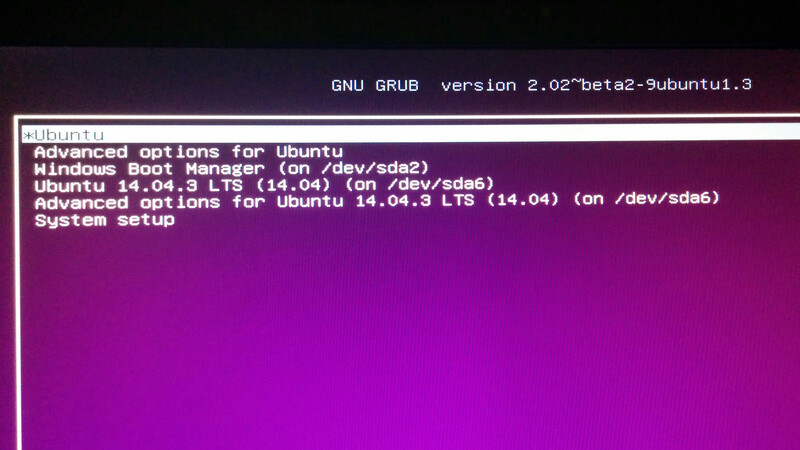 As explained on the help page I linked to earlier, you can add the parameter to GRUB before booting. Note that this only passes the parameter for the current boot, so you still have to edit /etc/default/grub once you have booted to make the change permanent. You need to get to the GRUB menu. If you are dual booting this will appear anyway, if not you have to press and hold (or tap) shift after pressing the power button to turn on. When you get to this screen select Advanced Options for Ubuntu. You can move the cursor to a different kernel, or leave it in place to edit options for the default. Instead of pressing enter, press e and you will go into edit mode, looking vaguely like this. Move the cursor down to where it says quiet splash, put a space after splash and carefully type intel_idle.max_cstate=1 making sure there is a space after it as well. Now press F10 or Ctrl+x to boot. Linux on Bay Trail and Braswell processors randomly freezes with built-in video devices. Not the answer you're looking for? Browse other questions tagged 16.04 kernel intel or ask your own question.